A die hard LSU fan converts his basement into his man cave. After we grinded his slab, we resurfaced it with a micro topping to start with a fresh canvas. 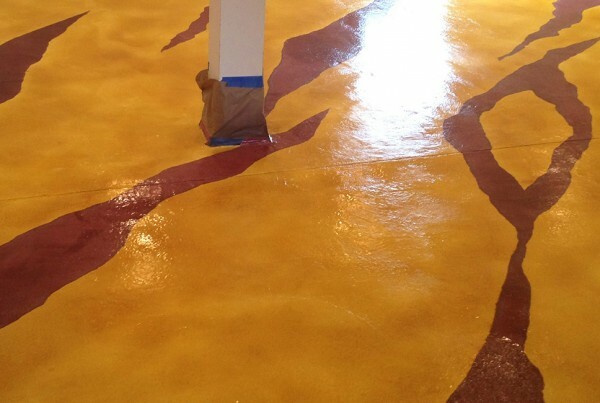 With the use of paper and stenciling technique, we are able to create a tiger striped floor complete with mike the tiger logo at the room entrance. Solvent dyes, which come in a wide array of colors, are used to keep crisp clean edges in our design. You can find more information about the process on our Concrete Overlays page. Are you human? What is 3+2?